Today we are leaving our vacation home in Gulfport, MS. We have really enjoyed our time in this area. Though the area is still recovering from the wrath of Katrina 10 years ago, the residents are really making attempts at rebuilding a beautiful costal vacation area. We really enjoyed this house. It is a stilt home that is clean and welcoming. Of course, we LOVE that it is dog friendly. There is plenty of grass space for the dogs to play. The beds are very comfortable, the towels are fluffy and plentiful, the washer and dryer are huge, and there are plenty of cleaning supplies and necessities provided. Make sure to go to Ivy Vista to book your vacation today. Tell Hugh that Brodie and Jodi referred you. Well, we’ve made it to our last full day in Gulfport for a while. I’m sure we’ll be back. So, today we will be closing up any loose ends and packing. We need to leave here pretty early in the morning because we’ve got a long drive to our next house. We like to have the houses a little closer to each other, but sometimes it doesn’t work out. Oh well, if that’s the least of our problems we’re doing pretty good. We got in a last minute Fedex delivery this morning that had a new travel setup for the dogs. There is a net that goes across the back of the front seats to keep them in the back. Daisy somehow believes that she should not be relegated to the back seat. We also got an inflatable space filler that goes in the back floor board and creates an almost level area. Last, but not least is a seat cover in the rear. Hopefully all of these additions will make a more peaceful drive to our next stay. Not that the dogs have been bad. They’ve actually become accustomed to the travel pretty quickly. But these things will definitely make the trips a little less annoying. 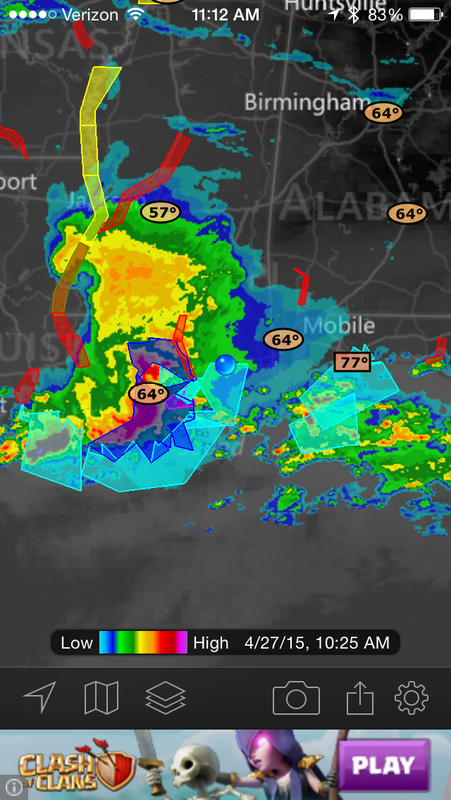 we’re weathering a last heavy Gulfport storm before we leave in a few days. I was standing outside with Daisy this morning when an African Woman, probably in her late 40’s or 50’s was walking by our house. Daisy, of course, completely ignored my commands and joyfully ran out to say hi. The unknown lady was clearly not comfortable with dogs. I got Daisy to come back and the next thing I know, the lady who we’ll call May, walked up to me in the carport under the house. We exchanged the usual greetings and she started telling me that she was new here, after leaving another state to escape an abusive husband, or boyfriend, I can’t remember exactly. I asked her if I could pray with her, she said yes, and I prayed while she cried. She told me she was out looking for food and wondered if I might have something she could eat? Of course we did! She was also hunting for candles for the house she is living in. Evidently her power is currently shut off. I invited her in, introduced her to Jodi and we had a great breakfast together thanks to Jodi’s quick cooking skills. We explained how grateful we were to have the opportunity to serve her because of God’s provision and leading. She let us know that she believed in Jesus, but no longer considered herself a Christian because she hasn’t been doing Christian things, such as going to church, etc. Jodi was quick to jump in and let her know that God’s love and gift of salvation is not dependent on our church attendance or other activities. She seemed happy to hear this. Of course I’m writing a very abbreviated version of the entire conversation. After breakfast, more conversation, and loading up another bag for her to take, we prayed again and said our goodbyes. It was a fantastic morning in Gulfport. Sometimes in our travels we can get a little worn down. It’s then that we both get a little more susceptible to getting sick. I think it’s mostly due to different allergens in different places. So Jodi has been fighting with respiratory and sinus stuff for a week or so now. She was able to see an online doctor this morning, so meds are on the way. Please pray that the medication will work quickly and that she will be over this soon. Other than a few of the hole in the wall places we’ve found, my favorite area in Gulfport is around the Hard Rock Casino. The casino itself doesn’t interest me. But, the area surrounding it is very nice. Probably because it’s renovated and geared toward vacationers. This area is updated and well maintained. There are several restaurants of various price levels. There is also a mall along with other stores and a Walmart. After all, no place is complete without a Walmart, :). There’s also a lot of beach space if that’s your thing. From what we can tell, you can rent a vacation home in the area for a good price if you don’t mind not being right in the heart of the vacation to do areas. There are several areas that have not made a full recovery after hurricane Katrina. But, it appears to be slowly coming back. Our car’s coming home today!!! We’re getting our car back from the body shop today! If you read our blog, you know that we were rear ended by a hit and run driver shortly after we got to Gulfport. We took it to a body shop last week for repairs and it sounds like we’ll get it back today. The shop found more damage behind the bumper than we could see from the exterior. The shop owner told us yesterday that it’s all repaired and painted. We just have to wait until later today, hopefully. We’re very grateful for the loaner car that the shop gave us, but we miss our car. The loaner is pretty rough. Although, we’ve kind of gotten used to the grinding noise that it makes when you drive it. How long to learn a new area? I picked up Jodi from the Gulfport airport today and we were looking for someplace to stop for lunch on the way home. We drove by a hole in the wall looking mexican restaurant, so we decided to give it a try. It was awesome! I was thinking tonight about how long it tends to take us to learn the lay of the land in each of the areas we stay in. So far we have averaged about 2 to 3 weeks to learn the area. During the first week we explore what’s in the immediate vicinity. Part of the reason for this is we’re also getting set up and used to the new house. During the second week we expand a little further as we go about normal day to day activities. During the third week is when we start to look further and closer. By this time our house is completely set up and we’re living a “normal” life. This is when we have the time and clearer heads to truly pay attention to those things that are off of the beaten bath. We start to feel a little bit more like the locals. Of course this timeline also means that we usually have one more week to enjoy knowing the area and this it’s time to move on. The good thing is that during the long term, if we revisit some of these places, we will already have a head start on the knowledge. It’s been raining for a couple of days now in Gulfport. Actually, rain may be a weak word for it. Monsoons at times is a better description. It’s been so crappy that even the dogs have looked at me like I’m stupid when I suggest going out. The house we’re renting is on stilts about 10 foot in the air, so flooding should not be an issue for us. But, evidently the on ground houses may be having some flooding trouble. I was just watching what I assume were contractors hauling sandbags to the rear of the house across the street from us. Hopefully they’re getting the bags out in time. I was looking at the forecast today and it looks like we have rain for the rest of the week. I wonder if the ocean ever overflows? I was walking Daisy this morning and we decided to change up the route. We ended up walking by a couple of empty foundations that I assume are the results of Hurricane Katrina. Actually, there are several empty foundations around us. This particular foundation had a couch in the basement. The basement is all that was left by the way. So, here’s my question: Was the couch there when the house existed or was it brought in afterwards to make a nice outdoor seating area(sarcasm)? Weird stuff is all I can say.